Central Arizona College’s Center for Cultural and Civic Engagement provides a virtual hub of information on events and resources at the college and across Pinal County. CAC faculty facilitate film screenings and discussions to provide rich, contextualized learning opportunities. A major blockbuster film, Black Panther, is a significant landmark for its production, cast, and representations of Black culture. Girl Rising is “a global campaign for girls’ education & empowerment.” As part of the larger campaign, this film chronicles the lives of nine girls, who overcome odds and face challenges to obtain and education and improve their futures. The screening and discussion is organized and facilitated by a CAC student as part of a class project for Introduction to Gender and Women’s Studies (WGS100) with the support of Student Government Association. Ask your instructor about extra credit. From visionary filmmaker Spike Lee comes the incredible true story of an American hero. It’s the early 1970s, a time of great social upheaval as the struggle for civil rights rages on. Ron Stallworth (John David Washington) becomes the first African-American detective on the Colorado Springs Police Department, but his arrival is greeted with skepticism and open hostility by the department’s rank and file. Undaunted, Stallworth resolves to make a name for himself and a difference in his community. He bravely sets out on a dangerous mission: infiltrate and expose the Ku Klux Klan. Posing as a racist extremist, Stallworth contacts the group and soon finds himself invited into its inner circle. He even cultivates a relationship with the Klan’s Grand Wizard, David Duke (Topher Grace), who praises Ron’s commitment to the advancement of White America. With the undercover investigation growing ever more complex, Stallworth’s colleague, Flip Zimmerman (Adam Driver), poses as Ron in face-to-face meetings with members of hate group, gaining insider’s knowledge of a deadly plot. Together, Stallworth and Zimmerman team up to take down the organization whose real aim is to sanitize its violent rhetoric to appeal to the mainstream. Central Arizona College hosts a number of cultural events throughout the year, including theater, music, food, and art. Games, crafts, Polynesian dancers, music, food, and information about the Hawai’i Travel Study program, Summer 2019! O’hana Means Family lecture immediately following. Learn how easy and delicious it is to make homemade pasta! Participants will learn how to make fettuccini noodles from scratch, along with a homemade Alfredo sauce. After class, enjoy your meal and learn about CAC’s upcoming Travel Study program to Italy: A Taste of the Roman Countryside where we will spend six days at an Italian culinary school in the Ciociaria valley, touring, cooking, and eating. *Must be a CAC student to participate. Submissions due by Sunday, February 17, 2019. For more information about the competition guidelines and to submit your video presentation, login to Blackboard to access the ‘Cultural Expression Competition’ link on your home page. Also, enter the 19th Annual Poetry Contest, Celebrating Black History Month, where the winner will be announced during the Pecha Kucha event. Submit your poetry entry using the theme above by Monday, February 18, 2019 at 6:00 p.m. to the Signal Peak Campus Learning Center or to barrington.campbell@centralaz.edu. Include your contact information with your submission. 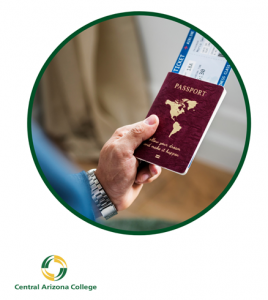 Travel and Learn with CAC! Central Arizona College faculty offer speciality lectures throughout the year. Did you know the Kingdom of Hawai’i was overthrown by U.S. interests in 1893? Did you know Hawai’i was illegally annexed to the U.S. 1898? Did you know the Hawaiian language was outlawed for 150 years? Come learn about the little-known history of Hawai’i, including geography of how the islands were formed, first contact with the Western world, the overthrow of the Hawaiian Kingdom, the current sovereignty movement for Hawaiian independence, and the cultural revival (language, literature, music and hula). 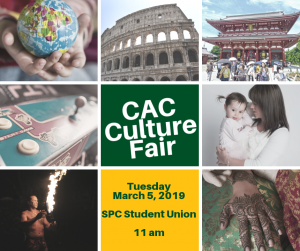 Attendees will also learn about CAC’s upcoming Travel Study program to O’ahu Summer 2019. This interactive presentation will focus on citizenship and access to voting, providing information about the electoral process and how access to voting has been improved to include so many, and yet remains far from complete inclusion. Prepare for upcoming elections by learning more about our voting access and efforts to fight suppression. CAC invites community members to share their knowledge and expertise with students, staff, and faculty. Are you a community member interested in getting involved with the College? Are you a faculty member interested in engaging the community in your class? If so, contact one of the Center Co-Directors for more information. Central Arizona College encourages members of our community to become engaged civic participants. Student Engagement & Activities would like to invite all members of the CAC Community to participate in “A Day On, Not a Day Off” on Monday, January 21st, in honor of the legacy of Dr. Martin Luther King, Jr. 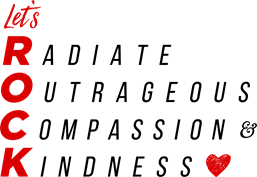 Although we are off of work and out of classes on Monday, we encourage each person to participate by performing an “Act of Kindness” for CAC R.O.C.K.s (Radiate Outrageous Compassion & Kindness). Check out this resource to help give families and community groups with ideas of Acts of Kindness or service projects you can do. Thank you for taking part of helping out our community and representing CAC. This event has been postponed until January 2020. Please check back in the fall for updated information. Democracy is a conversation, not a monologue. Location: This event will be held at all five CAC campuses–SPC, STC, SMC, MAR, and AVC. Specific campus locations TBD. From January 25-February 3, 2019, people across the country will host Story Circles in their communities, bringing neighbors together for the truth-telling and deep listening that make democracy real. In January of most years, the President delivers a State of the Union Address highlighting the past year and suggesting priorities for the coming year. In a year that’s seen more polarizing slogans and soundbites, more demonstrations and heated debates than ever, looking each other in the eye and sharing our stories matters even more than usual. In such moments, being able to cross political divides and remain in dialogue is a worthy challenge. Who are we? What touches our hearts and minds? What do our communities need, and what do they need to hear from us? We may know our own answers, but do we know each other? Central Arizona College provides various travel study opportunities, both domestic and international. Click into the titles below to learn more about current programs. Any faculty, staff, student, or community member wishing to get involved with the Center for Cultural & Civic Engagement can reach out to one or both of the co-directors. Fees–cover licensing or permissions fees (in most cases). Coordination–assist with logistics, including location reservations, event reservations, set up, support staff. Promotion–help promoting event to the college and surrounding communities. 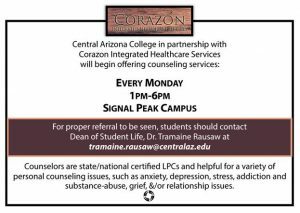 For more information, or to contact the Dean of Student Life, Dr. Tramaine Rausaw, visit the Dean of Students webpage. Mission: To ensure the Pinal County Community College Governing Board and President of Central Arizona College have available resources to carry out the school’s commitment to a community college culture of equity, diversity, safe spaces, and inclusion. The President’s Advisory Council on Equity is integral to the campus community and efforts will aid in developing a campus climate of trust that supports the Central Arizona College mission to serve as a TRUE Learning community by empowering students and staff to succeed. The Council will provide assistance in addressing diversity, equity, social, and inclusion issues that may arise at CAC. The faculty and staff representatives who serve on the Council are equipped to give advice to the President as needed. Working with the President’s Office, Office of Talent Development, and all school committees, PACE will develop and implement trainings and workshops, advising, and technical assistance in an effort to cultivate a college community and culture consistent with the mission and priorities of Central Arizona College.